SEB commits to support international voluntary recommendations on climate-related financial disclosure. 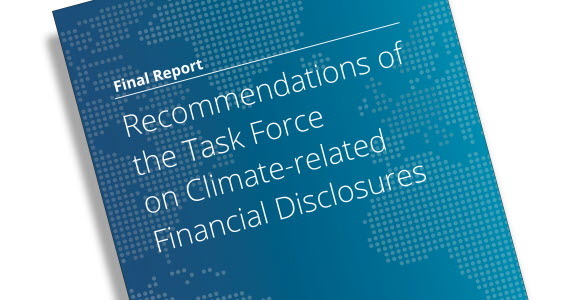 The recommendations have been prepared by an industry-led working group, Task Force on Climate-Related Financial Disclosures, (TCFD) at the request of the G20 Financial Stability Board (FSB). The purpose is for companies to voluntarily report on how their business is affected by future climate change. “We believe that climate change will have significant impacts across many sectors and that we, as a business, have an important role to play in ensuring transparency around climate-related risks and opportunities”, says Johan Torgeby, Chief Executive Officer of SEB. The TCFD recommendations will lead to more informed decisions about investments, lending and insurance guarantees, and improve understanding and analysis of climate-related risks and opportunities. The focus is on four main areas: ownership management, strategy, risk management, measurement values and goals. “These disclosures are an important step forward in enabling market forces to drive efficient allocation of capital and support a smooth transition to a low-carbon economy. And it is crucial that we can find a coherent way of calculating and reporting the effects of our impact and how it is integrated into business decisions”, says Johan Torgeby.